Bart Willems on Python 2 or Python 3? archer920gmailcom on Python 2 or Python 3? I started out with a Casio FX-80 clone made by Philips, mainly because my grandma worked at Philips so we could get them at a discount. It was large, ugly, and slow. Then one of my classmates turned up with this tiny, truly pocketable calculator. Not only was it faster than the Philips, it had colorful keys and it retained its memory when you turned it off (which is more convenient than it seems). 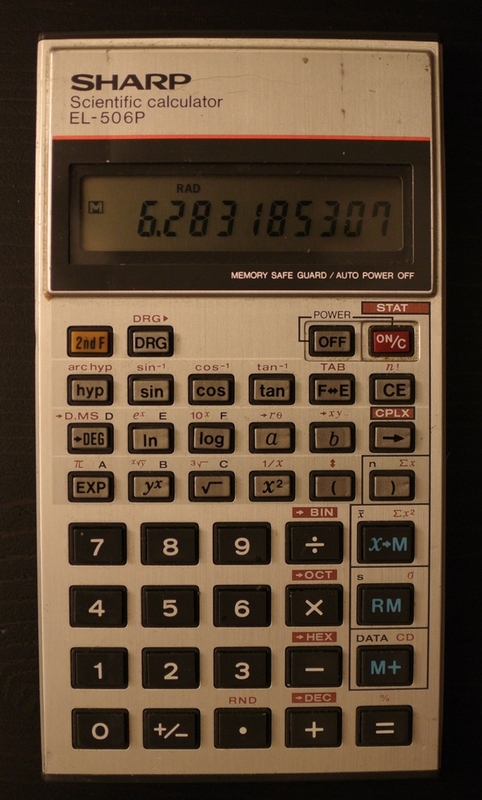 A cheap 1980s calculator, the 506P was a tough little machine that never let me down.